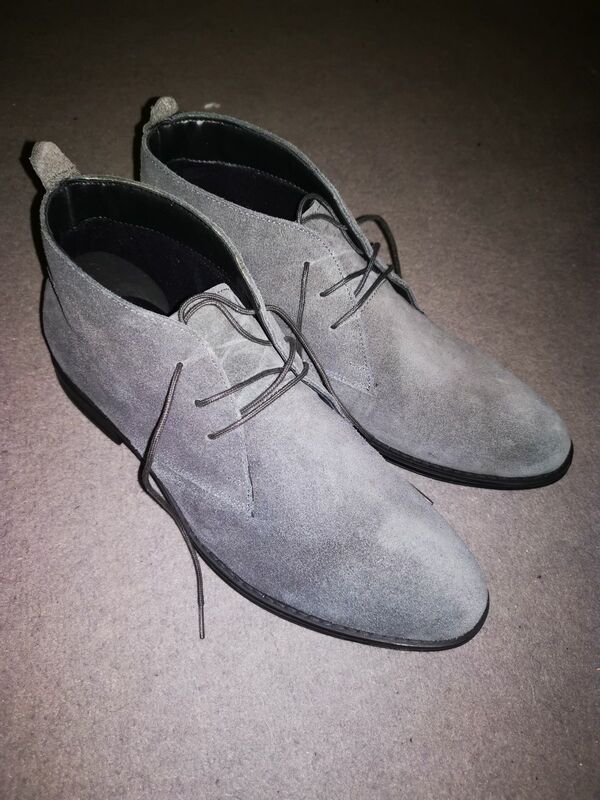 Derry - desert boots. Comfy as slippers, smart enough for relaxed office looks, Desert boots are a must-have for your collection. This classic suede pair have durable soles and leather laces to finish. Great quality, quick delivery and all round good service! nice fitting good quality shoes, ordered from Holland, received within 5 workings days. good service, deducted 10% discount for the first order ! Was a bit wary about ordering shoes on line but shouldn't have worried. The size was perfect and they fit like a pair of slippers! Seemingly very good quality and a great price too! Given the price for these shoes I had doubts around the quality and style. I can confirm that the style and quality of the shoe is very good given the price. A true bargain.